Watch how many compliments you get when you put on a pair of Giovanni leather dress shoes. These fine looking dress shoes are designed in Italy and designed for the man who favors style. 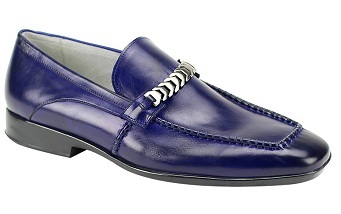 These blue leather loafers feature a stylish bracelet on top for pure Italian style.